Chris has been a business owner most of his life and in sales for over 35 years. 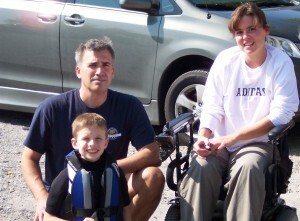 He has been with Main Mobility since 1998 and has made it his mission to be an expert in the mobility field. Chris has also been an advocate for Main Mobility’s clients by constantly driving the industry to improve product quality while at the same time reducing cost. He has also helped manufactures build more reliable products with his creative design ideas. This is what really sets Main Mobility apart from other mobility dealers “We don’t just sell products we help to make the industry better as a whole” Chris’s goal is to make any purchase at Main Mobility the best buying experience you will ever have anywhere and make you our customer for life. If you want to experience a truly caring, compassionate, informative and just great buying experience for your mobility needs, look no further than Main Mobility. Our customers inspire us every day to do our best ! !